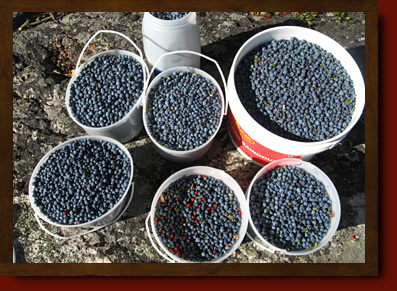 Lots of Canadian Shield Rock, acidic soil from pine needles and no people makes the region the best area for Blueberry picking in Canada. In a matter of hours you can pick pounds of Blueberries. These Wild Blueberries have twice the flavor of farmed berries and have ten times the antioxidants as well as being high in Vitamin C, which makes them the healthiest fruit you can eat. 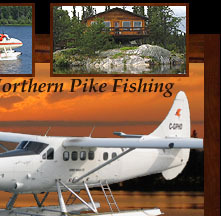 Many guests take a couple hours off from fishing in the afternoon and pick berries so they can have them to munch on during the day or you might be able to talk Vickie into making a delicious home made Blueberry pie to go with dinner. You don't want to pick too many if you live in the US because you can't take fruits or vegetables back over the border without special exporting permits.